The road to Certaldo Alto is only accessible to vehicles with a pass. Alternatively, take the funicular or walk up. 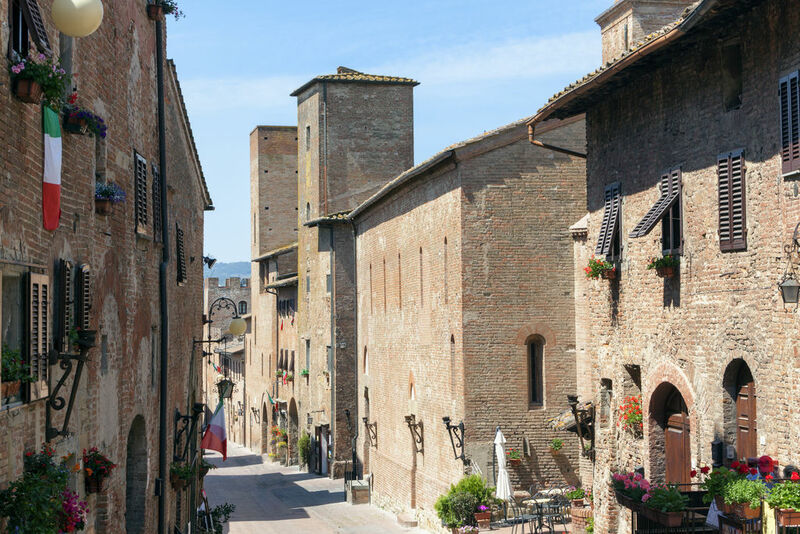 The ascent is well rewarded by the view, which takes in this medieval village built of pink brick and encircled by ramparts, where Boccaccio was born. 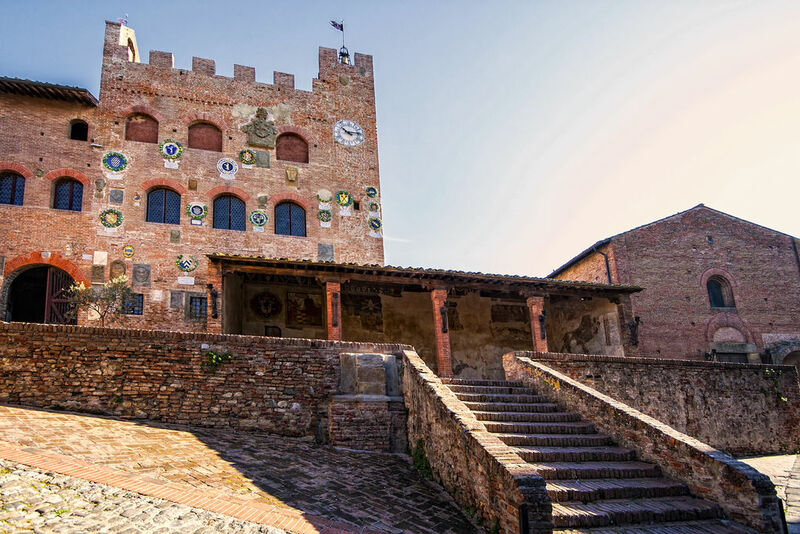 His house, Casa Boccaccio, almost completely destroyed during the war, has been rebuilt. 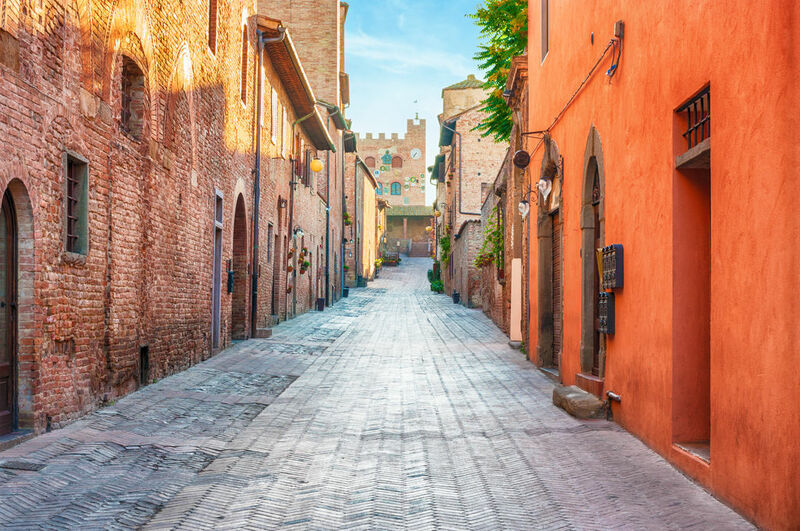 A look around the Palazzo Pretorio (16C) will take you into the heart of a spellbinding past.